This recipe was such a crowd pleaser in my house, I ended up serving it for dinner! I would for sure alter the bacon to spinach ration to meet your families tastes. 1) Using your large skillet pan, fry bacon slices (flipping once) until cooked fully. Remove from pan and crumble it. 2) Chop spinach coarsely. Beat the eggs with salt and pepper. 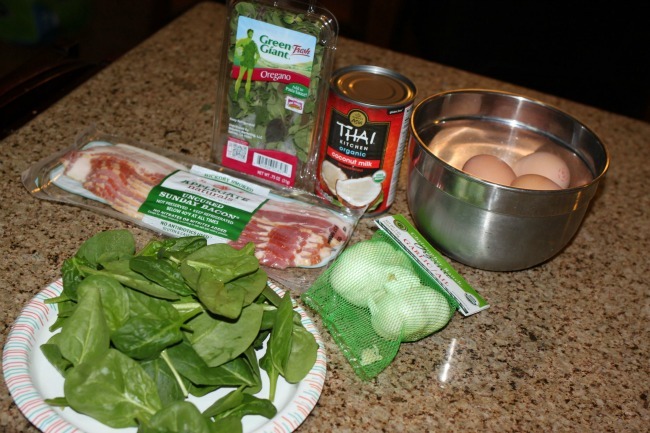 Add spinach and garlic. Remove the leaves from the springs of oregano. 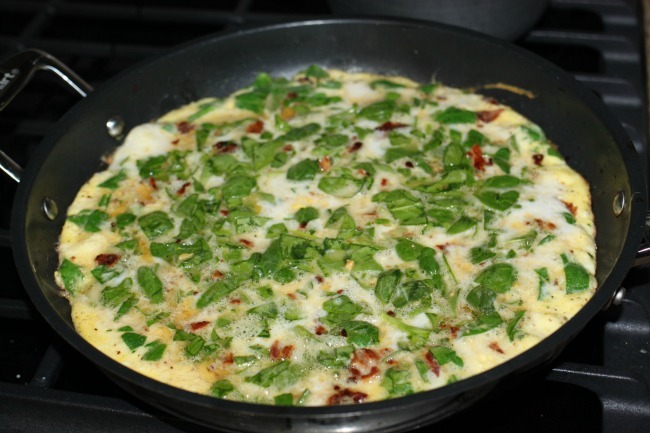 Mix the bacon, oregano and coconut cream into the eggs. 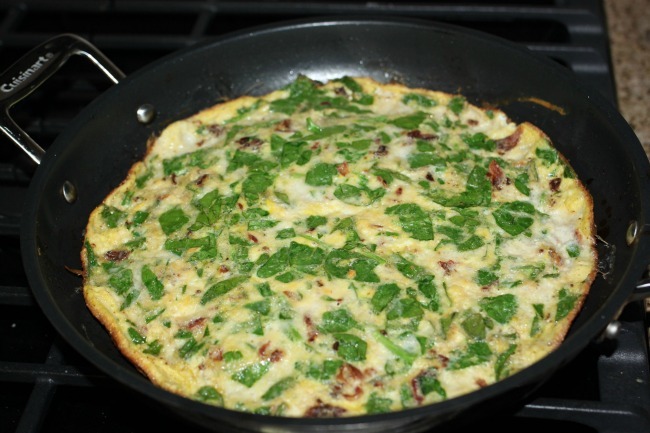 3) Heat the oil in a large non-stick frying pan (can use bacon oil or extra virgin olive oil) and add the egg mixture. 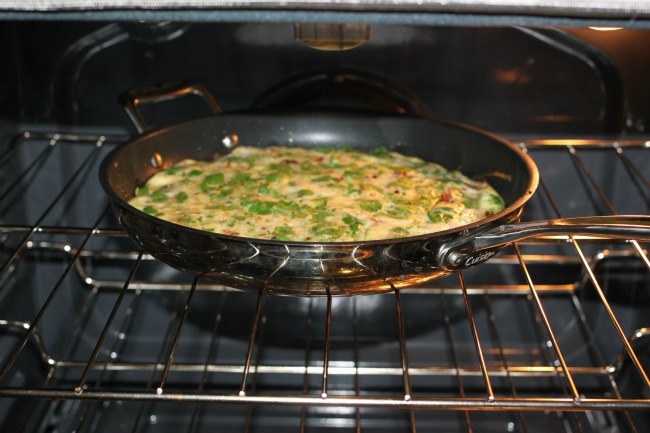 Cook until the frittata is almost set on top, about 10 minutes. Place under the broiler in the oven and cook until top is puffed and golden brown, about five minutes. Is this a recipe that you would try? 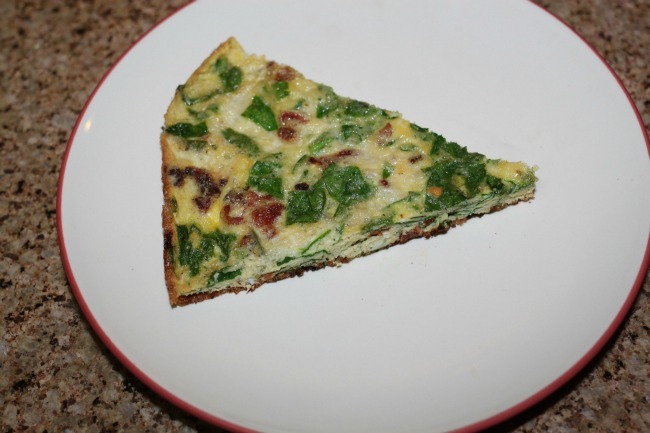 Do you have a great frittata recipe? I'd love for you to share it in the comments!